Home to over 89,000 residents, the City of Lethbridge is the commercial, financial, transportation and industrial center of southern Alberta, Canada. In 2011 the City made the strategic decision to use SharePoint as its platform to build and deploy both its externally-facing website and its intranet portal. First, the City of Lethbridge rebuilt and launched its external website on SharePoint 2010. Once the website was up and running successfully, the City focused its attention on its intranet portal. The intranet portal needed to address collaboration and document management, both of which were core issues across the enterprise. Document management was cumbersome and based on a series of directories. Documents lacked version control and there were duplicate copies everywhere. The City also lacked a structured approach to enterprise-wide collaboration. The City of Lethbridge knew SharePoint would prove a highly capable, long-term solution to both its document management and collaboration problems. To deliver a successful SharePoint intranet portal the City of Lethbridge also knew it needed to integrate data and functionality from its PeopleSoft HCM application as well. PeopleSoft HCM processes payroll, manages base benefits, and more for nearly 1,400 City of Lethbridge employees. However, only 800 of the City’s 1,400 employees had direct access to PeopleSoft, few of whom were frequent users. Those who weren’t, often complained that the PeopleSoft user experience wasn’t as intuitive as they’d like. The remaining 600 employees who lacked any access to PeopleSoft where those whose responsibilities kept them in the field and away from ready access to a PC or laptop throughout the day. The City wanted to extend access to PeopleSoft HCM Employee Self-Service to this group of users. To do so, these new users would have to be able to access the functionality from home and without access to PeopleSoft end-user training. It was determined that the best way to accomplish this goal was to streamline the PeopleSoft user experience by integrating the data and functionality into the SharePoint intranet application. 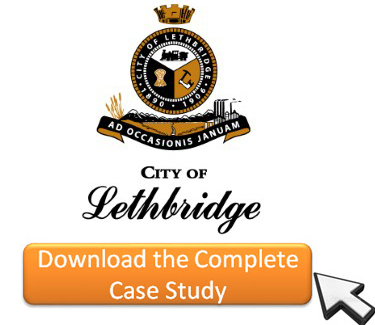 Initially the City of Lethbridge tried integrating PeopleSoft into SharePoint with web services. It quickly realized that the project was going to take longer and cost more than was desirable, forcing the city to reconsider its vision of having fully interactive PeopleSoft functionality integrated into SharePoint. Rather than compromising on it goals and objectives, the City of Lethbridge contacted InFlight Corporation, LLC, a Business Critical SharePoint Partner. The InFlight software was installed and fully configured quickly and easily, enabling the City of Lethbridge to integrate PeopleSoft HCM into SharePoint out-of-the-box. In addition, Integrating PeopleSoft into SharePoint with InFlight provided the City of Lethbridge with a unique opportunity to improve the PeopleSoft user experience. 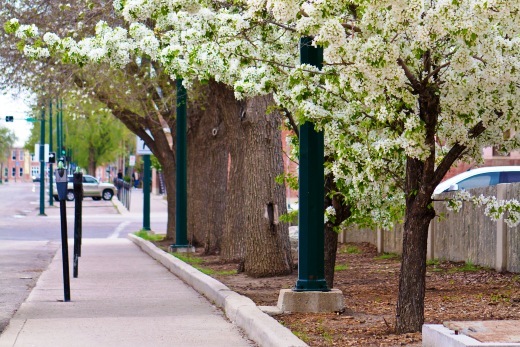 The City of Lethbridge used InFilght to streamline PeopleSoft, making it easy and intuitive for users with limited online skills to access and navigate the application. In addition to the convenience of not having remember their PeopleSoft login credentials users benefited from the placement of contextually relevant documents and policies next to the integrated PeopleSoft content within SharePoint. Together, these improvements have increased user satisfaction, driven portal adoption and lowered the cost to deliver employee HR self-service. As an upside, the City has completely modified the look and feel of PeopleSoft, but without having to make any changes or modifications to the application itself. This streamlined the implementation of their SharePoint intranet portal while reducing the costs and complexity of their next PeopleSoft upgrade. Getting started was easy because the City of Lethbridge took advantage of the free trial that InFlight offers through its proof of integration program. Click here to hear what the City of Lethbridge had to say about their trial. Initially City of Lethbridge had planned to integrate five PeopleSoft components into SharePoint including View Paycheck, Emergency Contacts, Home Mailing Address, Phone Numbers, and View Plan Balances. However, because InFlight makes integrating PeopleSoft into SharePoint so easy, the City of Lethbridge has expanded the PeopleSoft functionality it offered through its SharePoint portal to include Approve Time, Career Opportunities, Create Delegation Request, Direct Deposit, Leave Request, My Delegated Authorities, Review My Proxies, Request For Leave, Run Supervisor Approval Report, T4 Slip, View T4, and View Loan Schedules. 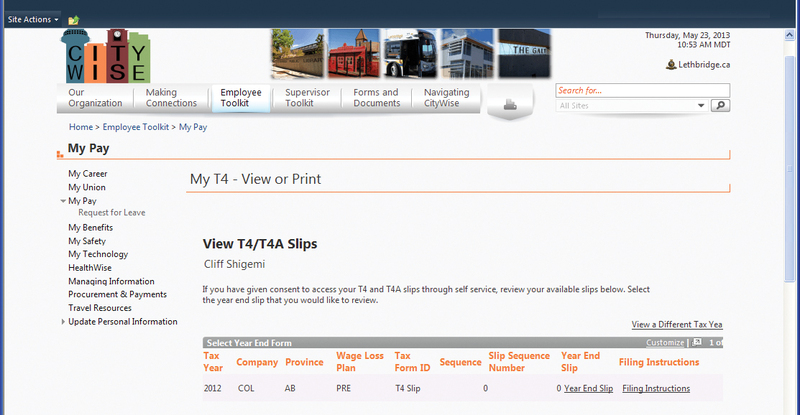 A screen shot of the PeopleSoft View T4 component embedded into the City of Lethbridge CityWise intranet portal is shown below. “InFlght’s seamless integration of PeopleSoft into SharePoint was exactly what we were looking for. We were scoping out how much development and time would be required to provide access to some of our PeopleSoft pages… it would be a huge undertaking. With InFlight we added their web part to a SharePoint page, included the URL of our PeopleSoft page and it was almost up and going, as simple as that. InFlight maintains the integrity of the PeopleSoft applications and its role-based security, but give us complete control over the way it looks and feels in SharePoint. Ultimately, employees don’t even know it’s PeopleSoft”. During the next stage of the project, the City of Lethbridge plans to use InFlight to fully integrate several pieces of data and functionality from JD Edwards EnterpriseOne into SharePoint. Hear what the City of Lethbridge had to say about their experience with our Proof-of-Integration Program in the below video.